You may not be aware of it now, but it’s likely that your business has suffered at the hands of incorrect business listings. And as a customer I’m sure you know from experience the impact it can have. To put it bluntly, when someone is trying to buy a product or service and an incorrect listing makes that process more challenging, that customer will waste no time finding another place to spend their hard earned money. Don’t let your customers lose out on business because of incorrect listings—claim and correct them instead! As you are probably aware phone books are starting to corner the doorstop and firestarter market. As tech-savvy generations age and account for larger percentages of our population, target customers are continuing to shift further away from paper and toward digital. 63% of people under 40 never use phone books to find local listings. This means having your business listed online is critical to tapping into a huge demographic of potential customers in the up-and-coming 80-million Millennial generation. With 85% of consumers browsing online to find your business, it’s more important than ever to be showing present and accurate NAP (name, address, phone number) data in the internet’s hottest spots. For this article, we will narrow our focus on “The Big Four”: Bing, Yelp, YellowPages and Google. These four listing hubs account for 85% of all search traffic and providing businesses with access to 314 million monthly users, these are the listings you want claimed, corrected and working in your favor for free. Bing is a big up-and-comer in the digital world. This engine now accounts for 30% of all searches performed online. That’s a huge amount of traffic for local consumers looking for your business. Accessible from Bing Places, getting a business online is as easy as one, two, three! Traditionally known as a review platform, Yelp has evolved into a one-stop-shop for your businesses to manage information and reviews, as well as post photos, promotions and events for your customers all under the roof of one little listing. Yelp is a huge draw to businesses because it has so much to offer and so much traffic! With up to 36.3 million monthly users looking for reputable and trustworthy businesses, wouldn’t it be great to get found on Yelp? Get started now. 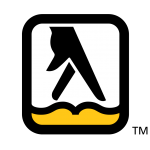 Aptly named for its predecessor, YellowPages (or YP as we more affectionately know it) has taken over where the original Yellow Pages left off. With a built-in user base from its paper days, YellowPages has already wormed its way into customer hearts and become a reliable source for listing information. On top of all that, YP has some of the highest US local search numbers in the game, making it the perfect place for your business to get found online. Get started here and get YellowPages working for those local businesses of yours! “Just Google it” has become a common phrase in most of our daily lives, so it should come as no surprise that its listing source, Google My Business, makes our Big Four. Unique to the other three, Google’s demographic reaches far beyond the female decision makers, 45+ age group, and $60,000+ income earners using Bing, Yelp and YellowPages. In fact, part of Google My Business’ draw is that its listings are seen by everyone who uses Google. With up to 175 million monthly users across every demographic, that’s a pretty big draw. Not only does Google My Business get you found in searches, but on Google Maps as well! Accounting for 78% of mobile travel usage, if your business isn’t on found on Google My Business, there’s a good chance it’s not getting found in real life either. Don’t send customers driving around in circles; get your businesses on Google my Business now. Now that we’ve talked about where to be listed online, let’s talk about how your business information should be listed online—100% accurately! Customers trust Bing, Yelp, YellowPages and Google to give them the correct information they need to find the business they’re looking for, and when the information is incorrect, customers lose major trust in the brand. Not only can inaccurate business listings and inconsistent NAP data diminish your brand, but did you know it can also affect search engine optimization (SEO)? Yep, you read that right! Listings with false location information are the #1 negative local ranking factor when it comes to SEO. So, not only can false listing data make it hard for customers to find you physically, but online, too. As you can very well see, being present and being accurate where it matters most in online listings is crucial to survival in today’s dog-eat-dog digital world. Not currently listed on the top four sites mentioned in this blog? Contact us today to get listed!